This is a typically British post! Other nationalities know that us Brits like to talk about the weather. To be honest, it’s a bit of a joke isn’t it? We know ourselves we do it – hardly a day goes by when I don’t hear someone (myself included) talk about the weather! It’s really not surprising though is it? We live on a small island and have one heck of a lot of influences on our weather – it is so unpredictable, that the weather forecasters rarely get it right! (For Leeds anyway). The BBC weather on the internet site, is updated regularly throughout the day. Temperatures can go up or down within a mile! There are signs that spring might just be around the corner though. 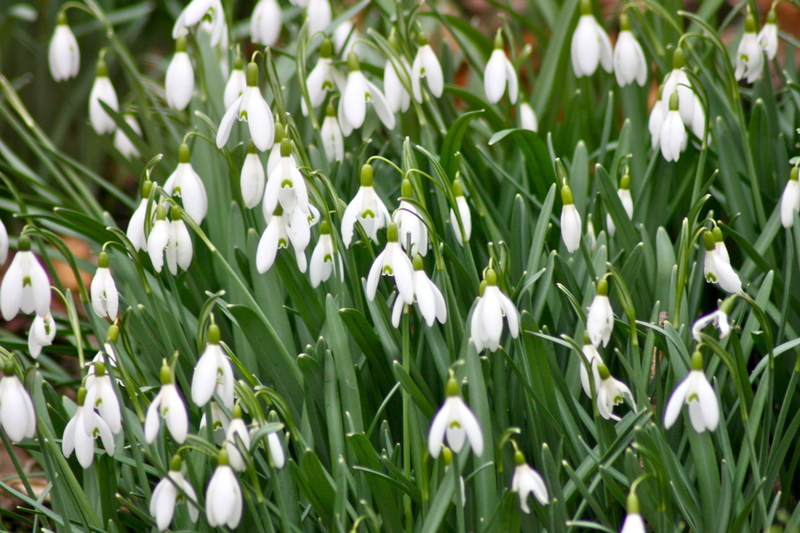 The snowdrops are blooming and the crocus and daffodils are peeping through. Plenty of birds singing at the park this morning in the rain. Watched a pair of common crows flying, chasing, some lovely agile acrobatics with each other. This entry was posted on February 13, 2011 by helengibsondavies. It was filed under Birds, News, Wildlife and was tagged with birds, british weather, crows, snowdrops. Hi Helen, Well, your beautiful weather is contagious! We are having a February thaw here in Cumberland County, Tennessee. We may even hit 60 degrees F. which would be welcomed. It is a sunny windy day and the birds are out in force. Happy Valentine’s Day to you! I, of course, am being optimistic here about your weather in Leeds! I say enjoy! Great to see the flowers! We still have 24 inches (Over half a meter)of snow on the ground. One more month and we’ll start to see a few flowers. Hi melissa – nice to hear from you. Just subscribed to your blog. Can’t believe how much snow you get!!! I should be grateful for just rain.